The Manse is a beautifully restored Grade II listed detached cottage, with three spacious bedrooms and two bathrooms, which has been tastefully furnished throughout to make a lovely holiday home for its new owners. It is approached via an impressive set of period wrought iron electric gates with an intercom system and has an attractive enclosed walled lawned garden, with a pretty former chapel adjoining the grounds. This is not lived in. It is only a short drive to the gorgeous unspoilt North Norfolk coast and the charming Georgian village of Burnham Market. 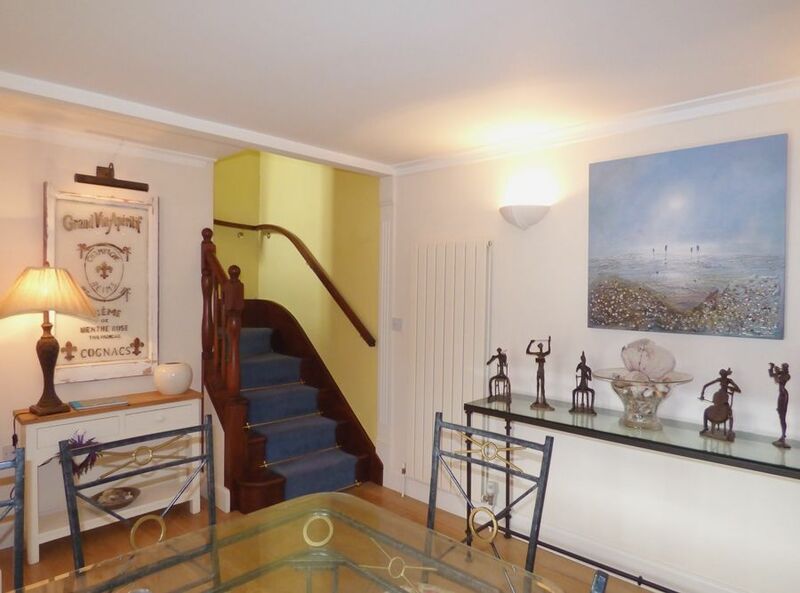 Entrance Hall: has oak flooring and a coats storage area. Sitting Room: charming room decorated in period colours with an attractive ornamental fireplace, two sofas, two armchairs, well-stocked oak bookshelves, TV/DVD and a music system. There is the advantage of free wifi provided. 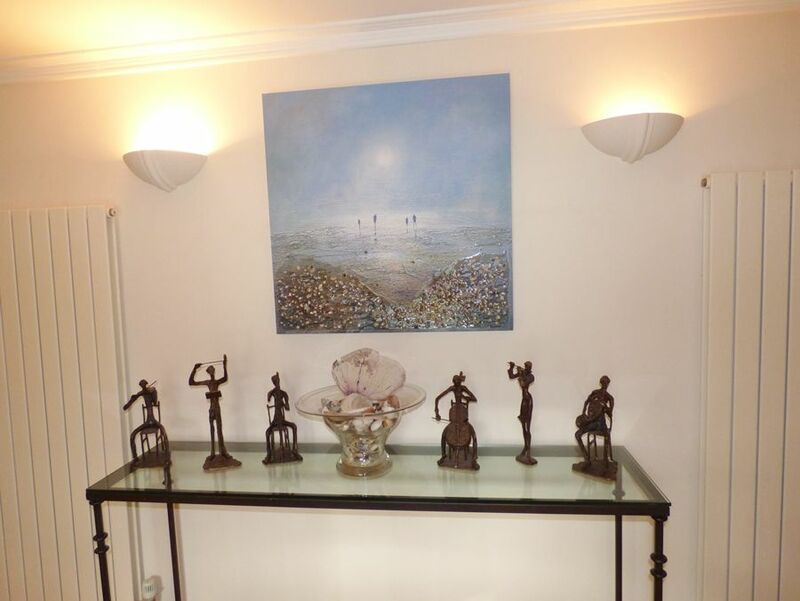 Dining Room: lovely room with an attractive ornamental fireplace, a glass dining table with six chairs, a dresser with a good selection of books and games, occasional table with bronze musician figures. There is a gentle curved bespoke staircase to the first floor. Kitchen: contemporary oak fitted kitchen with granite work tops and well- equipped with a Zanussi double electric oven, microwave, dishwasher, integrated fridge and integrated freezer and a breakfast bar with circular top and four bar- stools. Leads through into the back lobby with the back door and access to the cloakroom and utility room. Utility Room: a useful room with a washing machine, tumble dryer, sink and a second fridge/freezer. Cloakroom: hand basin and WC. Bedroom 1: has an emperor size bed (7ft) which can be unzipped to provide twin beds, overhead bedside lights, a built-in wardrobe and shelves. 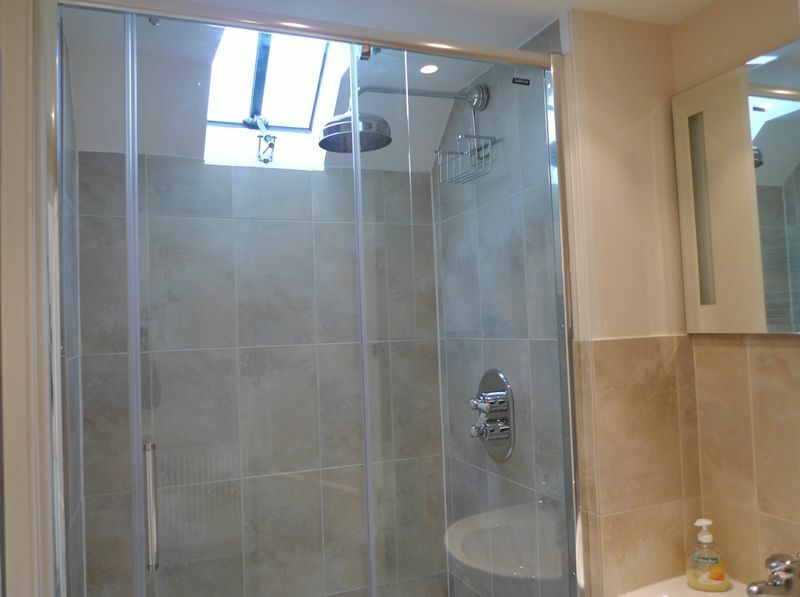 En-suite shower room: walk-in shower with large chrome shower head, hand basin, WC and a heated towel rail. Bedroom 2: lovely spacious room overlooking the garden with a pretty ornamental fireplace, a double bed, bedside tables and lamps, built in wardrobe. Please note that guests need to walk through bedroom 2 to get to a landing (with a large storage cupboard) and access to the bathroom and bedroom 3. Bathroom: has a bath, hand basin, WC and a heated towel rail. Bedroom 3: attractive room overlooking the chapel with twin beds, bedside tables and lamps and a chair. Please note that the bathroom may be accessed without going through bedroom 2. There is a high chair available upon request. There are wrought iron electric gates operated by a key pad and an intercom system leading to the sweeping shingle driveway with plenty of off-street parking. The gardens are situated to the front south side of the property, where there is an attractive lawned area with a traditional brick and flint wall. There is plenty of space for dining alfresco with a new patio area outside the house and a second patio with pergola, both having outside dining tables and chairs. There's also the advantage of a newly brick built barbecue. Adjoining the garden is a pretty chapel which is owned by the Yorke Trust (a registered charity) which has a separate access outside the grounds of The Manse. The chapel is used occasionally for classical music concerts. Only 10 minutes drive to the beautiful coast at Holkham or Burnham Overy Staithe and 10 minutes to the lovely Georgian village of Burnham Market. Perfect accommodation for both families with everything we needed. Great location to travel round Norfolk. Excellent BBQ. Comfy beds and outstanding facilities. Thank you, we would definitely recommend this property. Disappointed to be going home! Thank you for a wonderful stay in the lovely Manse. Great walks on the beach. Great breakfast at the Burnham Deepdale cafe and supper at the Dabbling Duck. Thank you for a lovely week. Thank you for a wonderful few days, lovely seeing all the new developments in the garden. Delicious meal at the White Horse and a lovely walk near Houghton Hall. A beautiful cottage in a beautiful location. The house is very well equipped both inside and out with plenty of space. The children loved the garden and it gets the evening sun! A great place to explore the area. South Creake is a popular rural village with a village green with a children's play area and tennis courts. 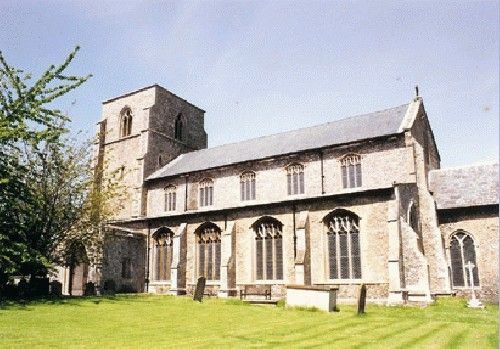 There is a medieval church, St. Mary's, which hosts various arts and music events throughout the year. South Creake is about five miles from the Georgian village of Burnham Market, famous for its interesting shops, restaurants and pretty village green. Six miles to the other side of South Creake is the market town of Fakenham with its wider range of facilities and farmers' market. If you would like to see more of our holiday homes in and around the Norfolk coastal town of South Creake, please click here.